If there’s one fandom whose members rival LEGO fans for excitement and in-depth knowledge, it’s Disney fans. The monumental rush of pure nostalgia and child-like glee when the two are combined can hardly be overstated. Of course, LEGO has long produced a few sets here and there licensing the core Disney products (as opposed to Disney-owned franchises like Marvel or Star Wars, which rule the LEGO lineup each year). Traditionally, these Disney sets have generally targeted some of the youngest sectors of LEGO’s audience. 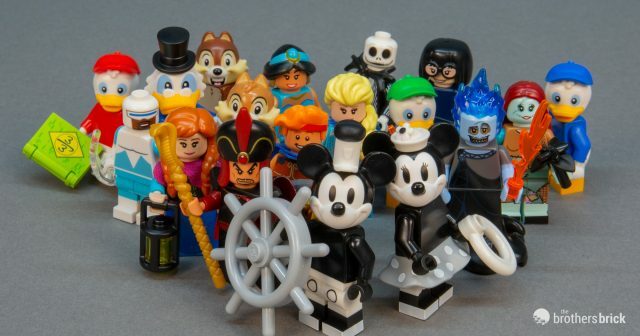 However, in 2016 LEGO produced a special wave of the Collectible Minifigures theme focusing on beloved Disney characters. 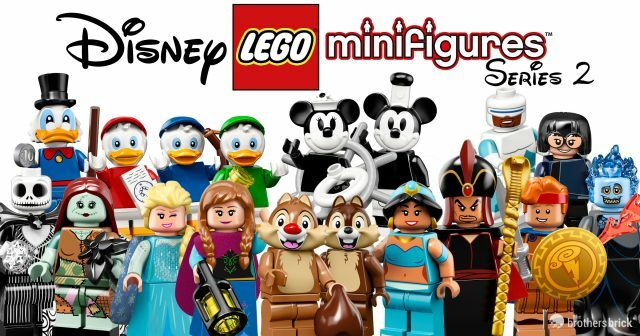 Now three years later, LEGO is returning for another go, with 71024 Collectible Minifigures Disney Series 2 with a target release date of May 1. As usual, we expect the sets to begin filtering into retail stores a bit early, so start keeping an eye out soon. LEGO hasn’t confirmed the price yet, but we expect it will match the $3.99 USD price of the first series. LEGO has revealed the full line-up from the much-anticipated second Disney Collectible Minifigures series, including characters from Frozen, Hercules, Aladdin, Nightmare Before Christmas and more. The collection includes 18 characters from many beloved Disney films and will be available from LEGO and other toy retailers starting May 1st for $3.99 US | £2.99 UK | 4.99 CAN. Hot off the heels of the LEGO Ideas Steamboat Willie set announcement, it might as well be Disney week in all things LEGO. We have your first look at all the new Disney minifigures right here, including close up photos of each character. 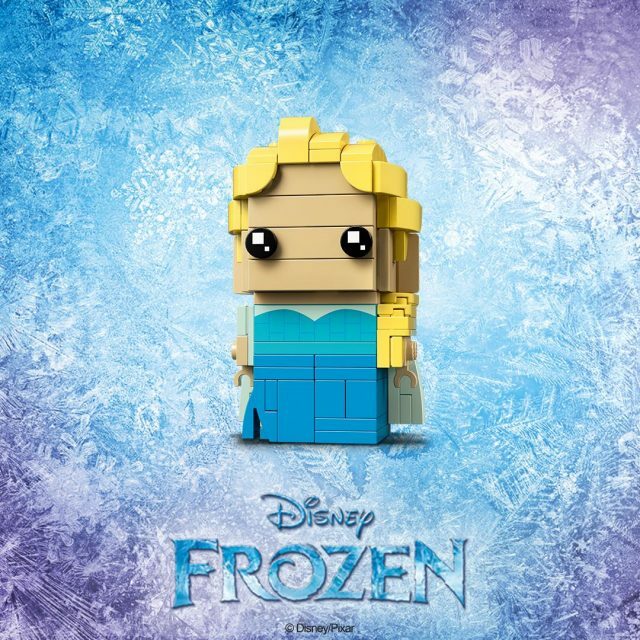 Disney’s Frozen joins the growing ranks of pop-culture BrickHeadz now available from LEGO. 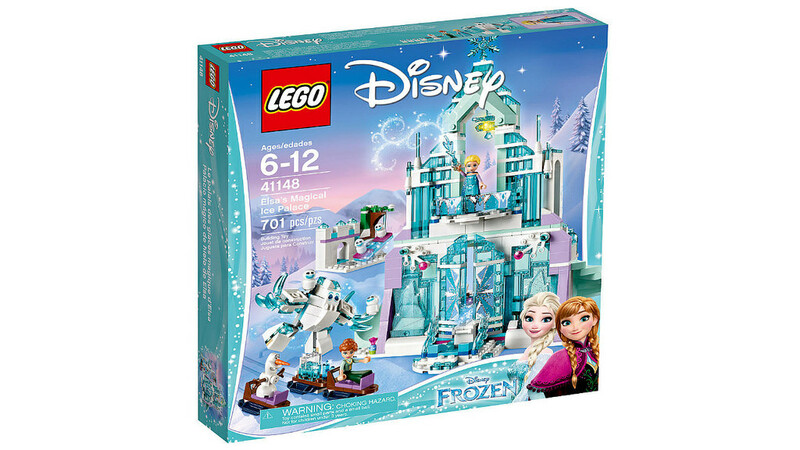 41617 Elsa is available by herself, along with 41618 Anna and Olaf, who come in a buddy pack. Elsa comes with 130 pieces, and retails for $9.99, while her sister Anna and her childhood friend Olaf come with 201 pieces, and retail for $14.99. They are numbered 52, 53 and 54 in the BrickHeadz series and both sets are available now. 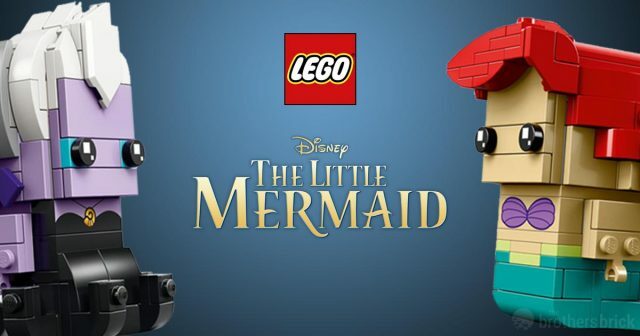 BrickHeadz is going under the sea, as today LEGO has published pictures of this new pair of characters from Disney’s The Little Mermaid. Ariel and Ursula are joining Beauty and the Beast in bringing classic Disney tales to the collectible figure theme. 41623 Ariel & Ursula will have 361 pieces and will be numbered 64 and 65 in the BrickHeadz series, and although there’s no definitive word yet on the pricing, we expect it to be on par with previous two-packs. 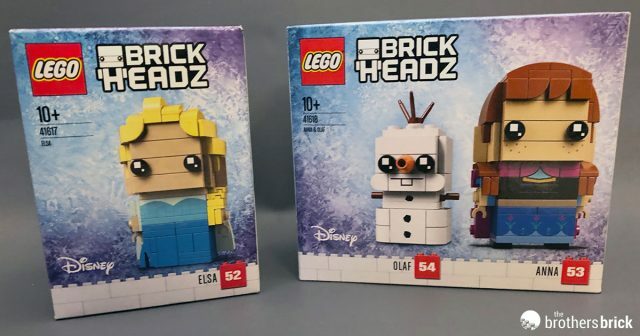 LEGO’s also given us a better look at the new BrickHeadz from Frozen that we announced last week, now including the box art. Check it all out below. Do you want to build a snowman? — ask no more as cute little Olaf will be one of three new Disney characters to be released in upcoming LEGO BrickHeadz sets. 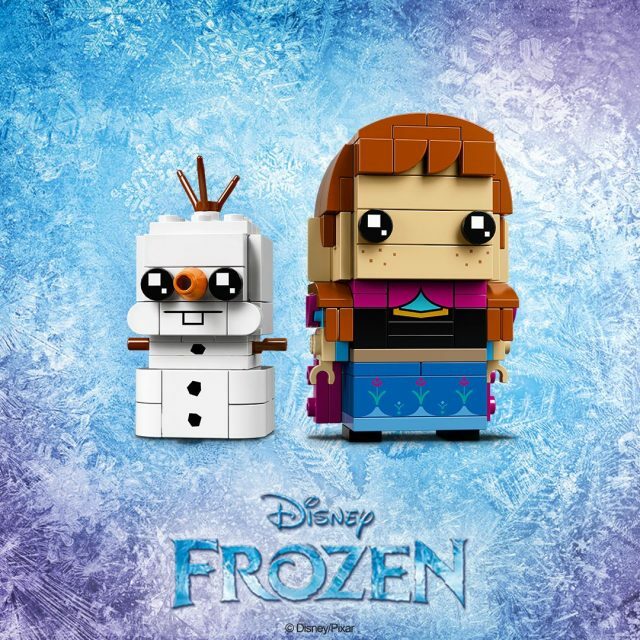 According to the most recent LEGO Facebook announcement, two new Disney sets are to be released very soon, bringing Olaf, Anna, and Elsa figures in the style of BrickHeadz. 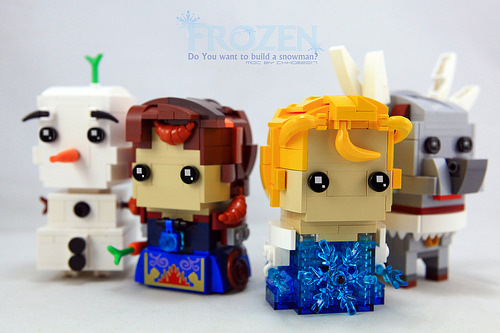 The smaller of two sets will contain the figure of Elsa only, while the bigger one will include Anna and Olaf, whose head design is based on a 3x3x3 cube (rather than the traditional BrickHeadz size of 4x4x4 studs). Actually, this is not the first BrickHeadz figure to feature the new dimensions; Hedwig in the forthcoming LEGO Harry Potter 41615 BrickHeadz set is also designed in the similar 3x3x3 format. Prices, availability and piece count of both sets are yet to be announced. Do you want to build some BrickHeadz...? Disney’s Frozen left us with a couple of heavy earworms still playing in the very background of our minds, but CK HO doesn’t let our favourite winter characters go. Recreated in the style of BrickHeadz, Elsa and Anna (featuring Olaf and Swen) do not look as excited as the versions by YOS Lego we featured previously, but this time they include not only bananas, but also some croissants. 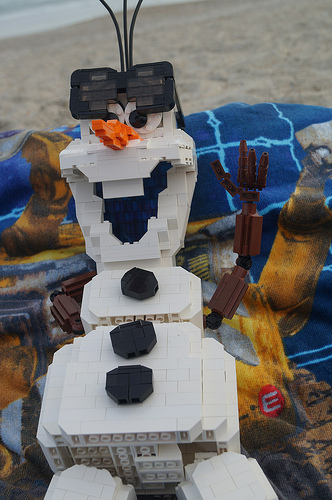 Disney continues their very popular Frozen franchise, with a little help from LEGO. The newest addition to Elsa and Anna’s adventures with Northern Light premiers December 9, 2016 on the Disney Channel. Join Anna, Elsa, Kristoff, Olaf, and Sven as they try to save the Northern Lights. You can watch the trailer below, and don’t forget to also check out the new Disney Frozen LEGO sets. The new sets for 2017 continue with a glimpse of Disney’s Frozen, Disney’s Princess Pets, and 6 new creator sets! Brickset reports that the Disney Princess theme will be renamed simply Disney, and should include both the general Disney sets and Frozen sets. 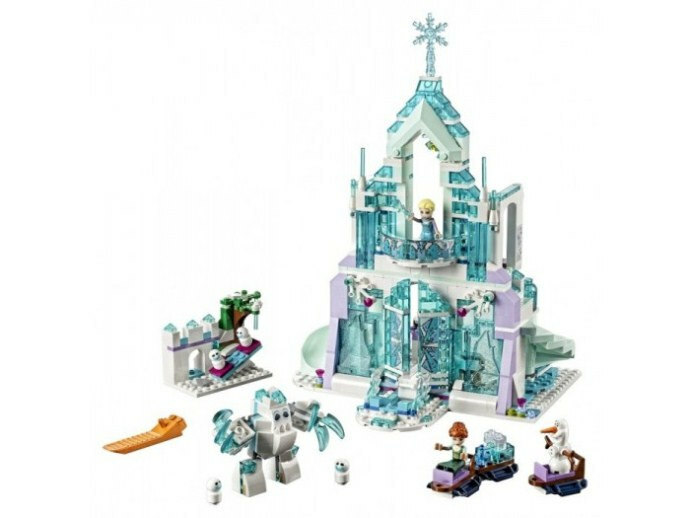 The new Frozen lineup includes a new Ice Palace, which is a good deal larger than the previous version (which is on sale currently, along with the other Disney Frozen sets). And next up, we also have some new Creator sets, making the this the third batch of 2017 Creator sets we’ve seen. We’ve got links below for the previous reveals. Click to see the rest of the new sets! 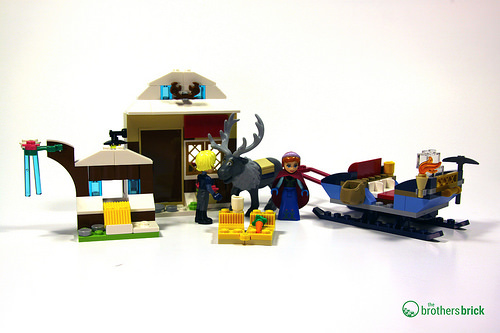 I recently picked up a copy of 41066 Anna & Kristoff’s Sleigh Adventure. This new entry into the Disney Princess theme costs $29.99 for 174 pieces. The set features Anna, Kristoff, and Sven the reindeer. This is the second Frozen set to feature Anna in her mountain-cold gear, and the only set currently with Kristoff and Sven. I have a conflicted relationship with this set. The parts-cost ratio is off (17 cents per part, well above the 10 cent average). My initial reaction was that the magenta on the sleigh was out of place and jarring. That said, the set grew on me as I built it. Also, I’m a big fan of Sven. The box comes with parts divided into two numbered bags. The first bag includes Oaken’s Trading Post and the hay bale/tree, along with Anna. Bag two includes the sleigh and Kristoff. The sled rails, in Dark Blue for the first time, are free-floating in the box along with Sven in his bag. Last year, Disney unleashed Frozen upon us, and since then, everyone has heard “Let it Go” in one way or another. Every parent has heard the soundtrack, and probably has contemplated hiding it. 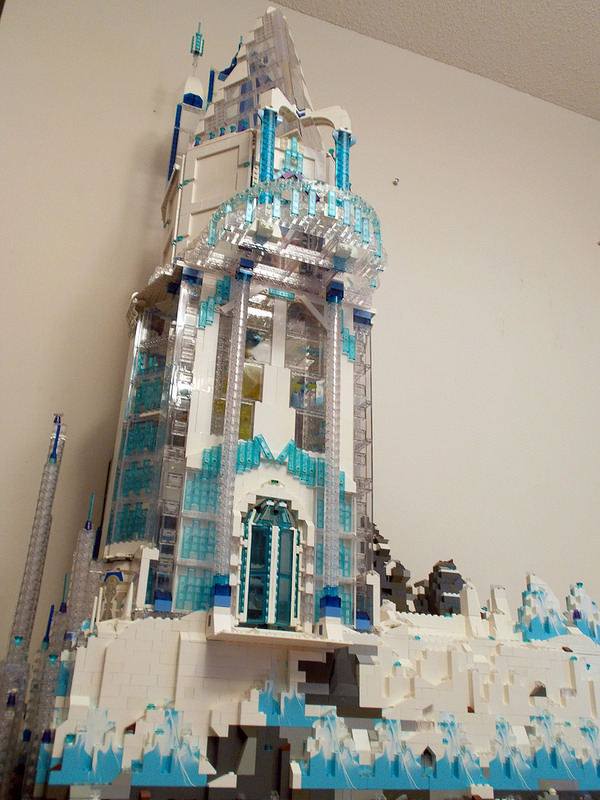 Simon MacDonald (SIMAFOL) has gone one step further, creating a minifigure-scale version of Princess Elsa’s castle. Disney’s latest hit Frozen has such fantastic characters–Olaf being one of them. His wish is to see summer time (and it’s DEFINITELY close to summer-time weather here in Florida). In his words, winter’s a good time to stay in and cuddle, but put him in summer and he’ll be a….happy snowman. You can see Joe’s process and progress in his Flickr gallery!